The team summited just about when predicted...about 9:15 Central time last evening, but morning in Nepal. 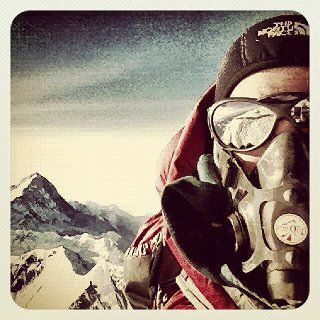 Emily Harrington's Facebook page says "Stood on the top of the world this morning, en route back down safely." NatGeo reports all climbers are now safely back to Camp 4...and are splitting up after a rest...two starting for base camp, two resting a bit, and two others will climb a nearby peak.